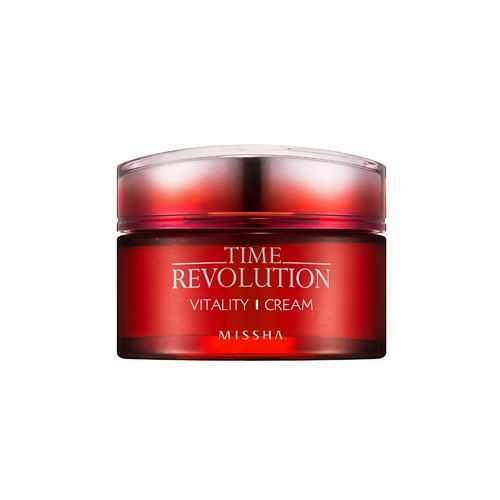 Vitality cream gently smoothes and revitalises tired,dull,wrinkled skin. 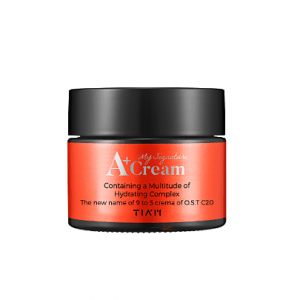 Formulated with Red Complex – includes pomegranate, hibiscus, and cranberry for revitalizing energy DN-Aid – includes cassia alata extract, which has strong vital power even in tropical regions, to strengthen skin barrier Trilagen & Linseed – includes peptide complex trilagen and linseed ingredient for their synergy effect to restore skin elasticity. 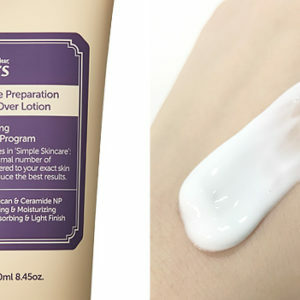 Best for combination to Dry Skin. Key Ingredients:Red Complex – includes pomegranate, hibiscus, and cranberry for revitalizing energy DN-Aid – includes cassia alata extract, which has strong vital power even in tropical regions, to strengthen skin barrier Trilagen & Linseed – includes peptide complex trilagen and linseed ingredient for their synergy effect to restore skin elasticity. 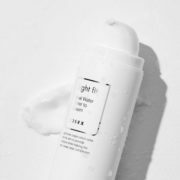 Water, Glycerin, Cyclopentasiloxane,iCaprylic/Capric Triglyceride, CetyllEthylhexanoate, Cetearyl Alcohol,iButylene Glycol,ButyrospermumlParkii (Shea) Butter,lAlcohol, Methyl MethacrylateiCrosspolymer, Macadamia IntegrifoliaiSeed Oil, Cyclohexasiloxane,lArachidyl Alcohol, GlyceryllStearate, Cetearyl Glucoside,lPentylene Glycol, PEG-100lStearate, Dimethicone, BehenyllAlcohol, Phenoxyethanol, CaprylyliGlycol, Dimethiconol, SodiumlAcrylate/Sodium Acryloyldimethyl TaurateiCopolymer, Arachidyl Glucoside,lIsohexadecane, Carbomer, Allantoin,lArginine, Fragrance(Parfum), Adenosine,lPolysorbate 80, XanthanlGum, Cassia AlatalLeaf Extract, DisodiumiEDTA, Sorbitan Oleate,lPseudoalteromonas Ferment Extract,lSaccharide Isomerate, LinumiUsitatissimum (Linseed) SeedlExtract, Vitex Agnus-CastusiExtract, Vaccinium Macrocarponi(Cranberry) Fruit Extract,lHydrolyzed Wheat Protein,iPrunus Amygdalus Dulcisi(Sweet Almond) SeedlExtract, Hydrolyzed SoylProtein, ADANSONIA DIGITATAiPULP EXTRACT, Lecithin,lGlycoproteins, 1, 2-Hexanediol,iCucumis Melo (Melon)iFruit Extract, HydroxypropyltrimoniumlMaltodextrin Crosspolymer, HibiscusiSabdariffa Flower Etract,lSodium Citrate, CitriclAcid,Tocopherol, Cyclodextrin,iSodium Benzoate, AscorbyllTetraisopalmitate, Potassium Sorbate,lGlutamic Acid, Tripeptide-10iCitrulline, Ethylhexylglycerin, Valine,iThreonine, Tripeptide-31, Tripeptide-1,lPunica Granatum FruitlExtract, Triethanolamine, Vinegar. 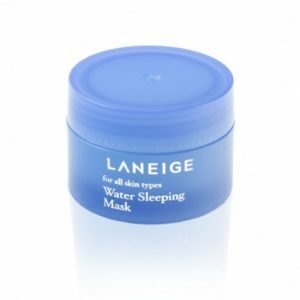 Recharge your dehydrated skin while you sleep with this innovative mask. 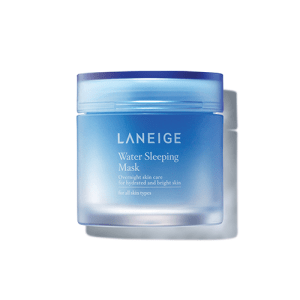 It’s formulated with highly concentrated Hydro Ionized Mineral Water to deliver high doses of moisture to stressed, parched skin, infused with orange flower, rose, and sandalwood, and it relaxes and comforts while apricot and evening primrose extracts to brighten and purify fatigued skin. 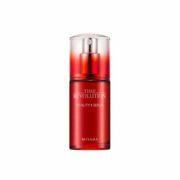 The result: skin looks and feels radiant, refreshed, and soft so you wake up with soft, glowing skin.